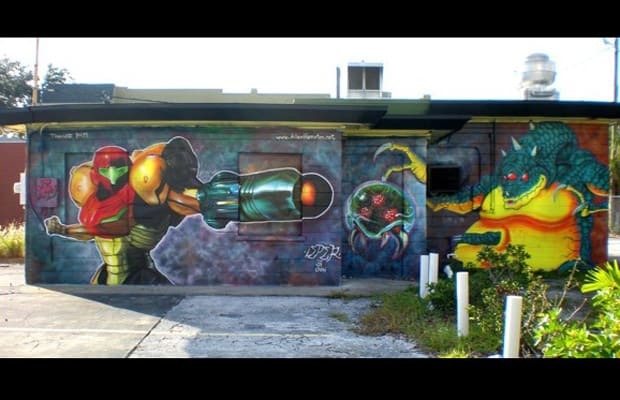 Artist Allen Hampton was commissioned to spray this beauty on the wall of a Central Art Supply. It really captures the disgusting way Kraid&apos;s extra arms stick out of his stomach. Gross. Well done, though.